Disneyland is Christmasland at this time of the year. The Christmas decorations are quite abundant, and rides are also altered and adorned. 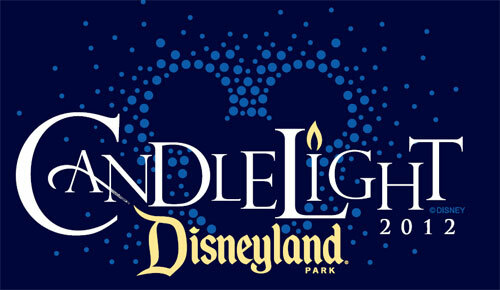 My daughter and her high school show choir performed in two Candlelight shows at Disneyland this past weekend. It was truly spectacular! This excursion led me to search for books about Disneyland. 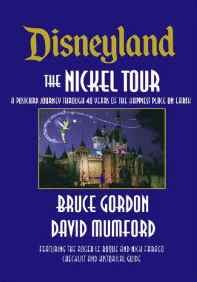 If you know someone who loves Disneyland and wants to learn about its history, Disneyland the Nickel Tour: A Postcard Journey Through a Half Century of the Happiest Place on Earth by Bruce Gordon and David Mumford would make a very nice gift (after this weekend, I'm tempted to buy this book for myself, if I can find a copy for a good price). The randomly chosen winner of 7 Years Younger is Holly from 2 Kids and Tired Books. Congratulations, Holly! Motherhood is rewarding but is also often demanding and exhausting; I hope you'll get a chance to relax with this book while your children are in bed or occupied in some other way. 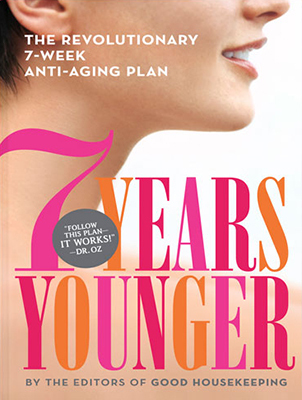 I found 7 Years Younger to be inspirational and uplifting, a health and beauty book that makes you feel good as you read it. If you didn't win this time, keep your chin up; I have other great giveaways listed on the right side of my blog, and an entry form for a $25,000 Spa Trip Sweepstakes which is part of the 7 Years Younger post. 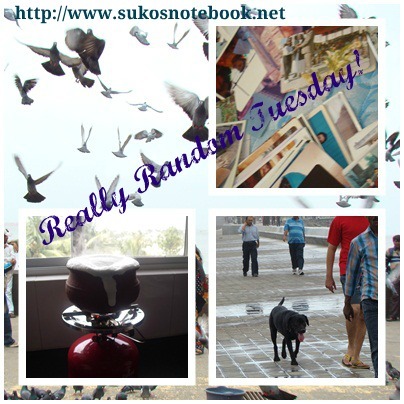 Appearing on random Tuesdays, Really Random Tuesday is a way to post odds and ends--announcements, musings, quotes, photos--any blogging and book-related things you can think of. I often announce my book giveaway winners in these posts. If you find you have miscellaneous book news to gather up and are inspired by this idea, "grab" the button for use on your own blog, and add your link to the Mister Linky (a new feature for RRT). Since I post this meme sporadically, I'll "reuse" this linky when I post--I think that will work. Congratulations to your winner! Holly is a great person. I am excited that your daughter got to sing at Disneyland as well. It must have been quite the experience for all of you to see her sing and to see the light shows. I haven't been in many years, but perhaps this is the year to get season tickets! What a fun experience for your daughters and you! Happy holidays! Congratulations Holly! That looks like a great book! -- Disneyland must be great during the Holidays! How exciting for your daughter and her friends. Even the merest mention of Disneyland brings out the child in so many of us adults. Congrats to the winner and happy reading. "Tis the season to be busy" is right. How wonderful about your daughter performing with the choir at Disney! What an incredible experience for your daughter! How fun for you to search out books about Disneyland.